Home > Q - A > What is Diversified debt mutual fund? 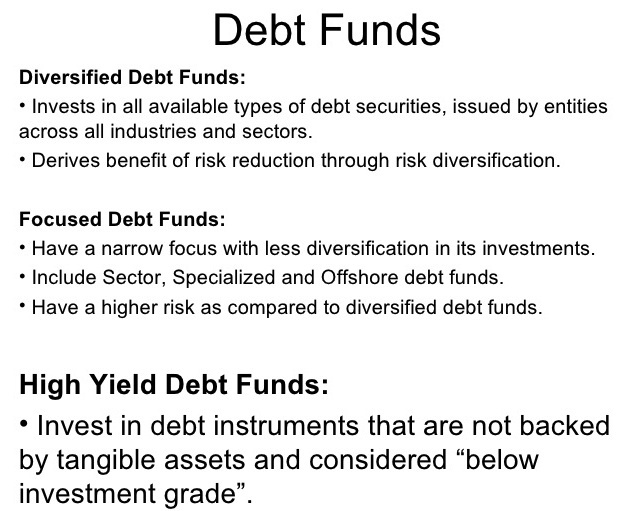 What is Diversified debt mutual fund? A. Focused debt mutual fund..
C. Assured return mutual fund..
D. High yield debt mutual fund..